"Hide this note in his suitcase before he goes on a trip or in his closet to wake to in the morning. Fill it with "I love you" and tell him reasons why. He'll love the thoughtful surprise." these are so great! love the color combos. What a cute idea. My husband loves things like that. love them. great idea! love that top photo! 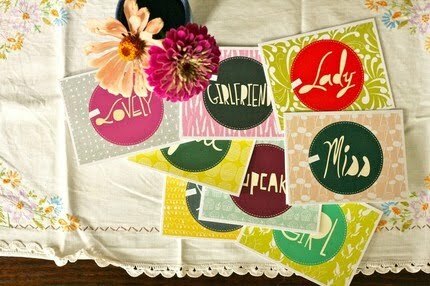 Sweet little gestures with such a card, is definitely a great sweet thing to do! what a great find!! 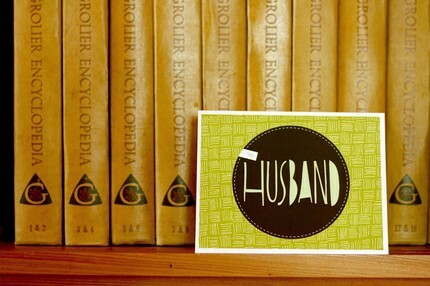 I love these — the font, the colors, the fact that you can buy a card that says "husband". so cute.